Marty LaRoche (PGA) is an 8-time PGA award winner and is one of the top coaches in Southern California. Marty has almost 30 years of teaching/ coach experience. Numerous outstanding players graduated from his junior golf program and approx. 100 of his junior golf players received NCAA college golf scholarships. Some have moved on to golf careers such as Cameron Tringale, PGA tour player and Matt Richards, PGA Golf Professional. In 2009, Marty established the World Stars of Junior Golf Championship in Las Vegas. Today the tournament has become one of the premier Junior Golf Tournaments in the world. The Event plays host to Boys and Girls Junior Golfers ages 5 to 18. Over 2,500 Players from over 50 Countries have participated in past years. The World Stars of Junior Golf Championship is Nationally ranked by NJGS, Golf Week, Scratch Player World Ranking, AJGA and WAGR. The top young players from around the world! This event brings together the top boys and girls junior players from around the world. Because we allow caddies for the players, parents really enjoy this opportunity to caddy for their child, which makes the WORLD STARS competitive and great family experience! The IJGA World Stars of Junior Golf Championship has become one of the premiers Junior Golf Championship in the world. Because of your participation, the event has attracted almost 2,000 players from 50 countries. Because of the International field, strength of field, quality of courses and it’s Las Vegas location, this makes it a great World Event for All Golfing families. Our mission is to provide junior boys and girls of all ages with the most competitive field and ultimate tournament experience. This professionally operated event by PGA golf professionals, PGA apprentices and volunteers makes this a must play for all junior golfers. This Championship is nationally ranked by NJGS, Golfweek, Scratch Player World Ranking, WAGR and recognized by AJGA with performance Stars! The World Stars of Junior Golf Championship is played at the best Golf Courses. TPC Las Vegas, and Angel Park Golf Club are among the courses hosting this year’s event. 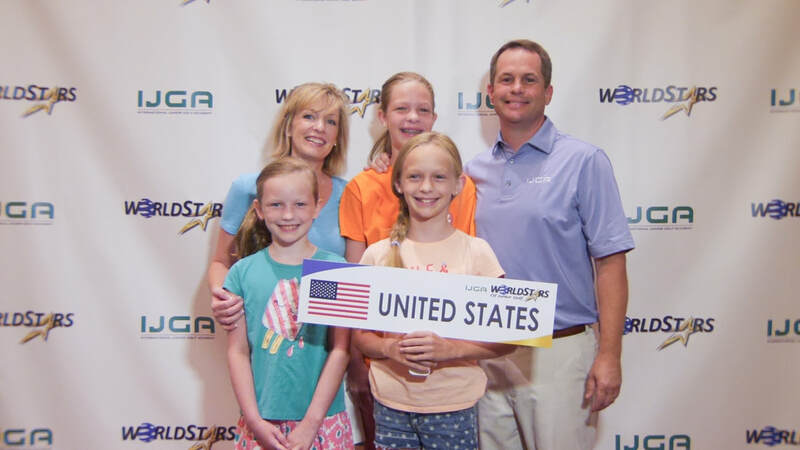 Thank you for making the IJGA World Stars of Junior Golf Championship a major world junior golf event.